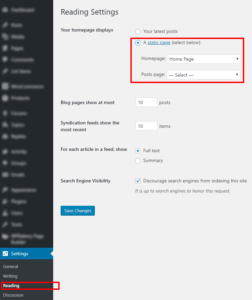 There are 2 ways for setting up and manage home page. 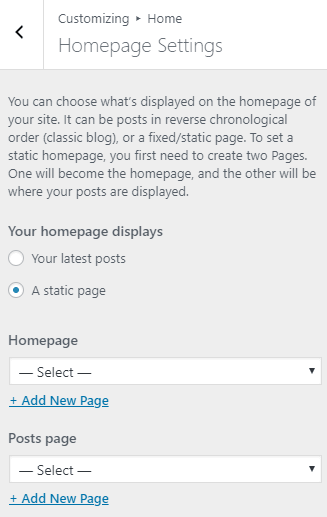 By default when new WordPress installed under the Dashboard ▸ Settings ▸ Reading Your homepage displays Your Latest Posts. Other option is manually create a page and set it as a home page from Dashboard ▸ Settings ▸ Reading ▸Your Homepage Displays = A Static Page. 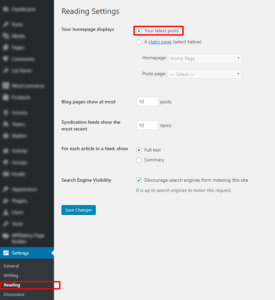 For managing home page in this case you need to edit your home page and change settings under the Boombox Page Advanced Fields. Here we will show you what are the settings in case if you have option 1. 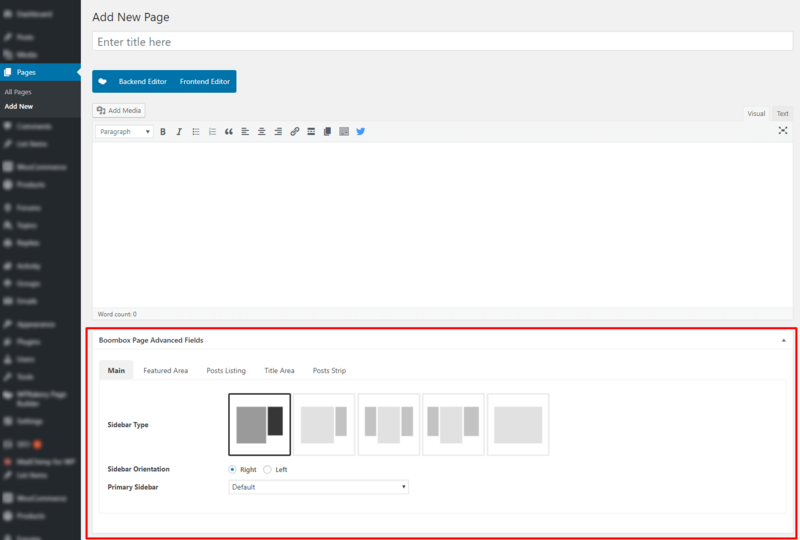 Go to Customizing ▸ Home and you will see 3 sections where you can control Home page. 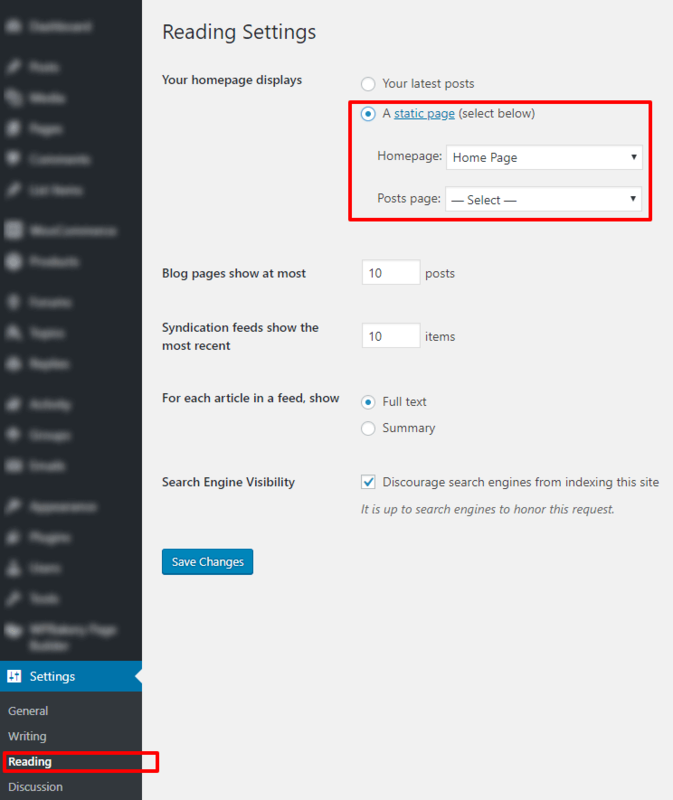 Here you can manage which Layout to choose for Homepage, Sidebar Position, Sidebar Orientation, Posts Listing Type. You can Show or Hide most of the elements, control Posts Loop and Ads injection in Posts Listing. Can be Right or Left. 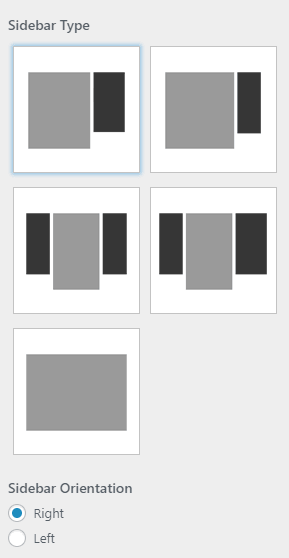 In case of choosing 2 sidebars then changing from right to left you will change sidebars vice-versa. 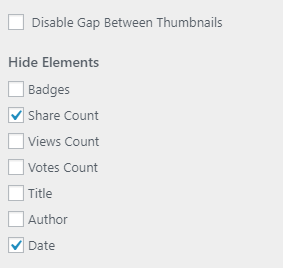 Choose categories, if you want to show posts only from that categories. 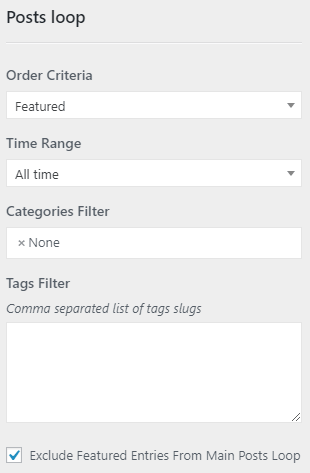 Choose tags, if you want to show posts only with that tags. 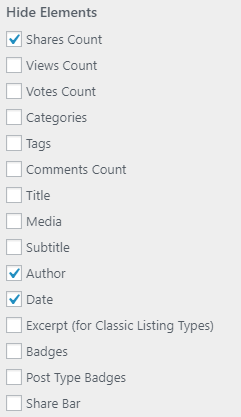 can be Injected Into Posts List or this feature can be disabled by selecting from dropdown None. Admin can Inject Ad After Post by adding Number Value. can be Injected Into Posts List or this feature can be disabled by selecting from dropdown None. 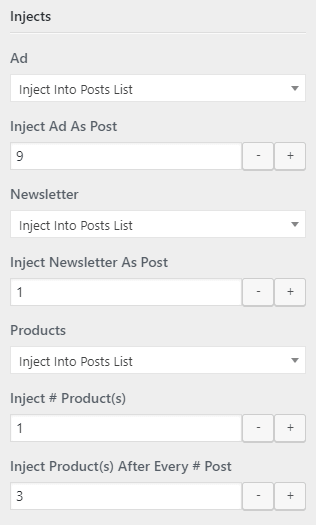 Admin can Inject Newsletter After Post by adding Number Value. Please note that Ads and Newsletter will be injected per page. 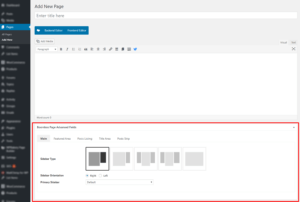 If you have selected pagination type as Infinite Sroll then it will be considered as one page and Ad and Newsletter will appear once. 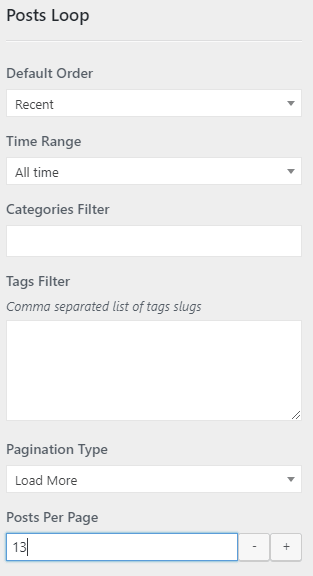 can be Injected Into Posts List or this feature can be disabled by selecting from dropdown None. Admin can select number of products by adding value in Inject # Product(s) field and Inject Products After Every # Post by adding Number Value. Please note that Boombox always takes recent products and showing latest products in descending order (latest posts will be on top). Here you can control Layout and Posts Loop for Featured Area on Homepage. 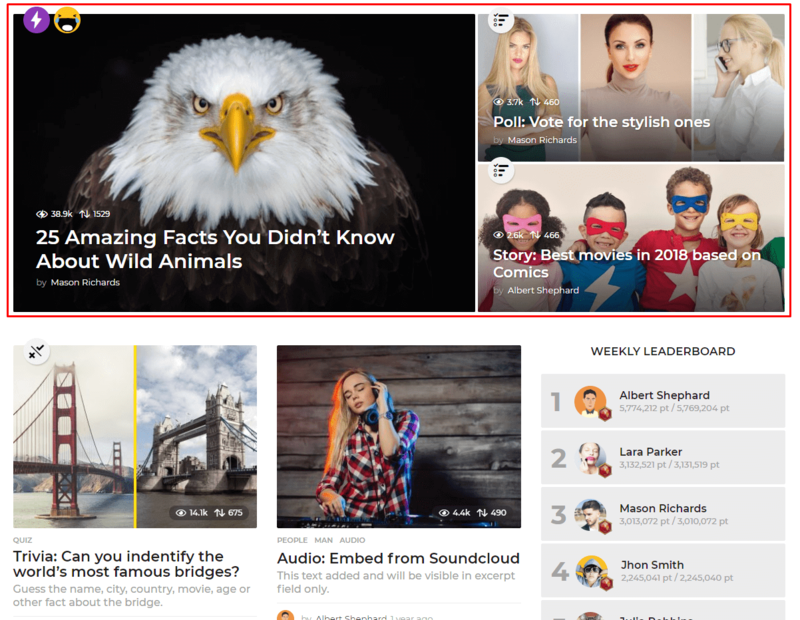 It’s extremely easy to Show or Hide Elements on Featured Area for homepage. 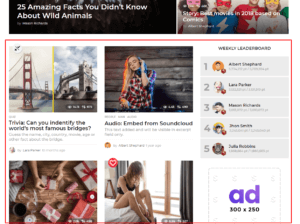 This option will help you to pass the case, when the same post can be doubled in featured area and in the post listing. 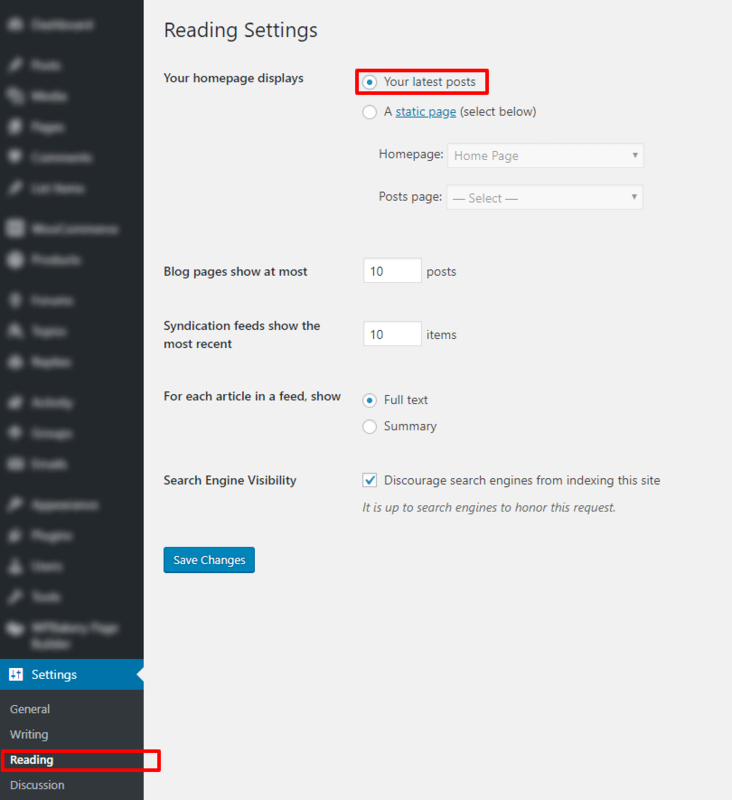 From this section you can do the same actions for setting up the home page, as you can do it from Dashboard ▸ Settings ▸ Reading. Please go to Customizing ▸ Home ▸ ​Homepage Settings and check what value have been chosen under Your homepage displays.